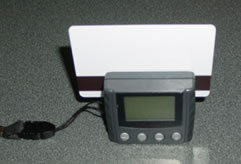 The Mini600 is designed for card swiping data collection anytime and anywhere without computer. Mini600 is built in 2 in 1 interfaces for USB. Data is read from the card and kept in the memory, then downloaded to the computer.